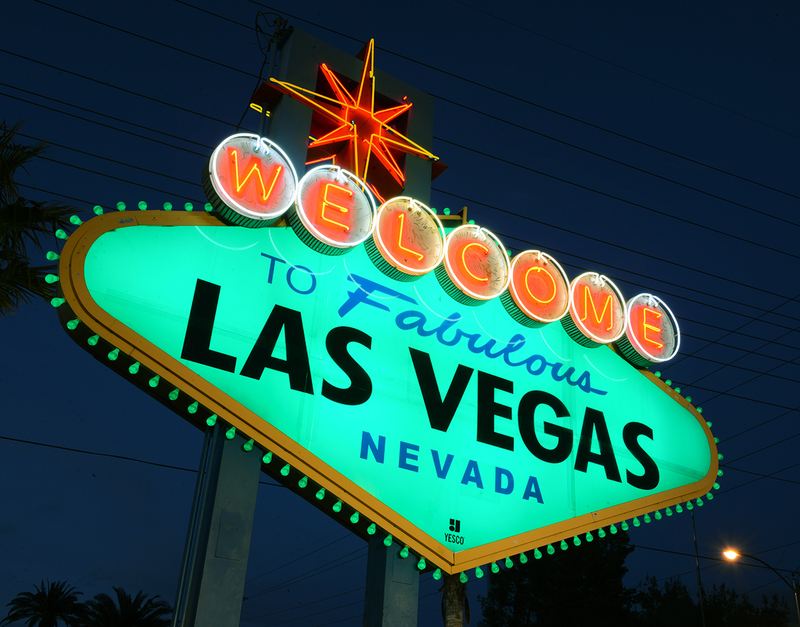 LAS VEGAS – There’s no better place to find the luck of the Irish on St. Patrick’s Day than Las Vegas. This year, the Welcome to Fabulous Las Vegas sign will entertain travelers from around the world as the sign turns green on March 15 in participation with Tourism Ireland’s annual Global Greening Initiative to celebrate the Irish holiday. 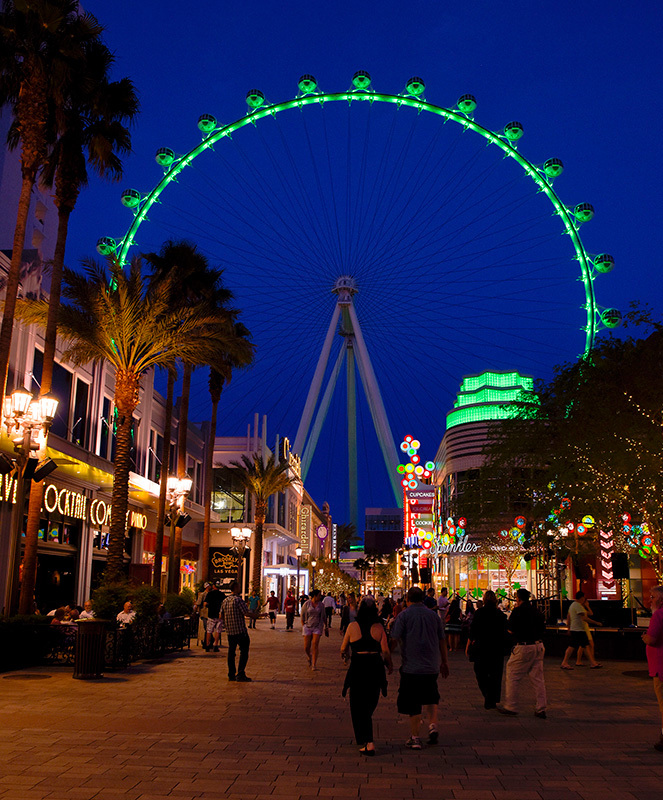 Also turning green, will be the world’s tallest observation wheel, the High Roller at the LINQ Promenade. This St. Patrick’s Day also marks a momentous goodbye as Las Vegas will host Irish legend Michael Flatley’s final onstage appearance as a performer following a remarkable 20-year run as the creator and star of Lord of the Dance. The St. Patrick’s Day celebration kicks off with festive green lights throughout the destination at landmarks, including the Welcome to Fabulous Las Vegas sign and the popular High Roller at The LINQ Promenade among others. Following his acclaimed Broadway debut, Irish legend Michael Flatley’s highly-anticipated U.S. tour of his Lord of the Dance, will make its final stop at The Colosseum at Caesars Palace on St. Patrick’s Day, March 17. The production, subtitled Dangerous Games, which has already performed to sold-out audiences at the Playhouse Theatre in London and the Lyric Theatre in New York, ends with one last performance at The Colosseum at Caesars Palace. From March 17-19 revelers can take part in the annual Celtic Feis celebration at New York-New York. The three day party offers delicious Irish fare, specialty beverages, live music, interactive media and a parade led by traditional bag pipers. On March 17, the O’Sheas BLOQ Party celebration kicks off at noon with a parade down The LINQ Promenade, complete with bagpipers, leprechauns, stilt walkers and more. The parade returns to the promenade at 6 p.m. with an even bigger nighttime celebration. The BLOQ Party will take over The LINQ Promenade, featuring giveaways, oversized adult games and various surprise pop-up performers and dancers. Beer trucks and portable bars from will line the green oasis, ensuring guests never run out of foamy brews. Inside O’Sheas, partygoers will be treated to live music from Roxy Gun, The Hooligans and Darby O’Gill late into the night. Tilted Kilt is also joining the party and will feature live music, along with festive drink and food specials for guests. The Auld Dubliner Irish Pub at the MonteLago Village in Lake Las Vegas will be celebrating its 10th anniversary in conjunction with St. Patrick’s Day. Festivities will begin on March 12 and will feature traditional Irish fare, such as corned beef and cabbage, Guinness beef stew, bangers and champ, and fish and chips. Recently named as a “top place to party in Vegas” by Irish newspaper, The Herald, CRUSH inside MGM Grand will host an over-the-top celebration on March 17 with resident “funologist” and notable Irishman, John O’Donnell, serving a spread of corned beef, cabbage, soda bread and much more. Also at CRUSH, authentic Irish bagpipers will play to set the festive tone for the evening. The Fremont Street Experience will celebrate St. Patrick’s Day with free, live entertainment, authentic Irish music, street performances and drink specials for all tastes. Rí Rá Las Vegas invites guests to celebrate St. Patrick’s Day the “Irish way” during its three-day festival March 17–19 inside The Shoppes at Mandalay Place. The St. Patrick’s Day festivities will feature live music, giveaways, Irish dancers, an Irish bagpiper and authentic Irish cuisine. Not only will the picturesque Miracle Mile Shops fountain glow in green for the holiday, but wished-upon coins thrown by guests will benefit the National Multiple Sclerosis Society, Miracle Mile Shops’ charity partnership for the month of March. The Southern Nevada Sons & Daughters of Erin will be hosting their annual St. Patrick’s Day parade as this year marks their 50th anniversary. The 50th Annual St. Patrick’s Day Festival & Parade is scheduled for March 11-13 in downtown Henderson. The parade will kick off at 10 a.m. Saturday, March 12, 2016. In addition to the parade, there will be a carnival with rides and games, a car show presented by the Hustlers Car Club, Irish music and dance, live entertainment, food, vendors and more. In honor of St. Patrick’s Day, Beer Park at Paris Las Vegas will add green beer to the roster, as well as Irish-inspired food selections, including fish and chips and a corned beef and hash burrito. 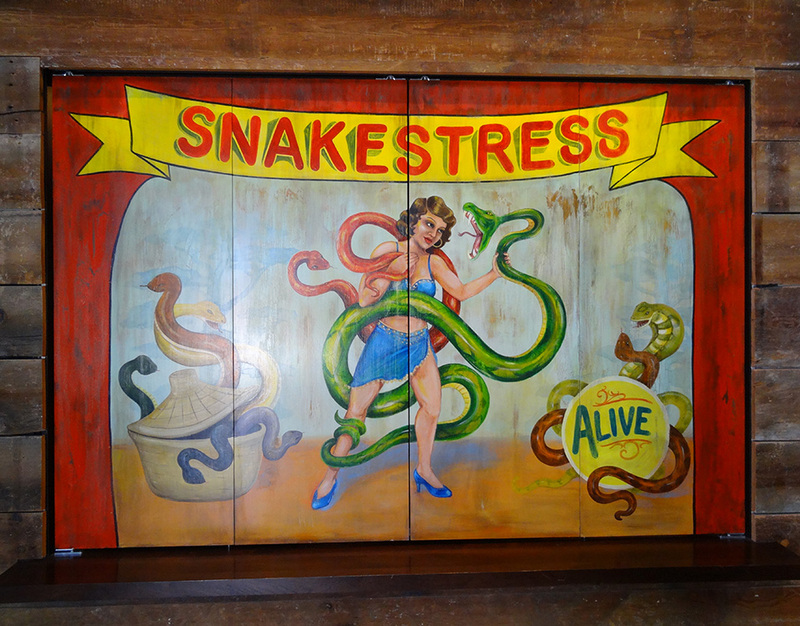 Live music and oversized games, including life-size Jenga, darts and pool will add to the festivities. Also at Paris Las Vegas on March 17, Mötley Crüe rocker and current contestant on NBC’s “Celebrity Apprentice,” Vince Neil, will host a St. Patrick’s Day celebration. Tacos & Tequila inside the Luxor Las Vegas will honor the Irish with its Mean Green Quesadilla, served exclusively on St. Patrick’s Day. Executive Chef Saul Ortiz’s spirited snack is made with spinach tortillas and loaded with a choice of protein, including chicken, carne asada or shrimp. Holstein’s Shakes and Buns at The Cosmopolitan of Las Vegas will offer the Luck O’ The Irish Burger. This hearty burger is a take on the Irish-American classic corned beef and cabbage, and is made with a beef patty topped with Swiss cheese, shaved corn, beer-braised cabbage, diced smoked bacon, and a hint of Russian dressing. To complement the burger, try Holsteins’ Frozen Grasshopper Bam-Boozled milkshake — a green treat whipped up with peppermint, chocolate, Crème de Menthe, and Pinnacle Chocolate Vodka. For those looking to dance the night away, Omnia at Caesars Palace will host one of the most popular DJs in the world as Calvin Harris takes to the booth on March 18. Hakkasan at MGM Grand will keep the energy flowing all weekend as famous hip hop star Lil’ Jon takes to the booth on March 17 and worldwide sensation DJ Tiesto rocks the club on March 19. Internationally acclaimed Dash Berlin will spin for thousands of fans and partygoers at Marquee at The Cosmopolitan of Las Vegas on March 18. On March 19, locals and visitors alike will participate in the Six Tunnels to Hoover Dam – St. Patrick’s Day Half Marathon, 12K, 5K and one-mile stroll. The course takes participants on the Historic Railroad Trail, with panoramic views of Lake Mead, and an amazing glance of The Hoover Dam.